For centuries Ayurveda has been using the flower, root and leaves of the dandelion plant for various medical purposes. However, it is the root part that is mostly used for medicinal purposes. Dandelion is popular for its ability to support healthy liver functioning. Moreover, there are proven evidences that emphasize on the curative properties of the great green dandelion. 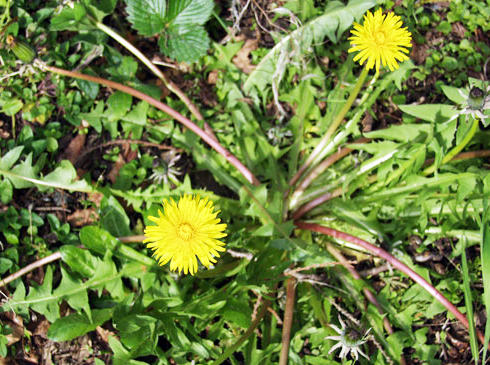 Dandelion tops the list of best foods for the liver. The herb has been used for centuries now to treat jaundice and also helps in cases of liver dysfunction, hepatitis, liver disease and cirrhosis (the herb increases bile production and cleanses blood stream). It is also excellent for liver detoxification. A study in August 2010 published in the Journal of Medicinal Food demonstrated that dandelion greens extract can considerably suppress nitric oxide, cytokines and prostaglandins, the pro-inflammatory molecules. A study published in the International Journal of Oncology has revealed that the anti-carcinogenic activity of dandelion may be of much value making it the ideal anti-cancer agent, as the extracts of the root flower blocked the invasion of both breast cancer cells and prostate cancer cells. Ayurveda has been using dandelion for centuries now, as a natural diuretic. A study published in the Journal of Alternative and Complementary Medicine long demonstrated that dandelion extract helped in considerable increase in urination frequency demonstrated by trial subjects on administration of the extract. Hence, it is used in treating oedema commonly noticed in patients with kidney disease. Magnesium which is available in plenty in this herb makes it very valuable in treating bone disorders. This can be mixed with juices of leaves of turnips and carrots for treating these disorders. Dandelion can be used as a general body tonic for its influence in supporting waste functions of bladder, bowels and skin, which are hard-working eliminating organs of our body. Apart from the said, dandelion is traditionally being used for gall bladder and urinary disorders, gall stones, dyspepsia, constipation, edema associated with high blood pressure and heart disease, skin disorders, gout, arthritis, eczema, and on stings, sores etc. Sometimes it is also effective in treating certain kinds of viruses in the body. In cases of stomach irritations, the decoction of extract of dandelion when consumed thrice or four times a day, would serve as a valuable remedy, increasing appetite and promoting digestion. When it comes to good health, nothing can beat dandelion greens, as they provide calcium, iron, fibre, magnesium, niacin, phosphorous, sodium, Vitamin E, A and K and powerful antioxidants including Betacarotene and lutein. An analysis of dandelion is said to contain fat, protein and carbohydrates. In fact, dandelion greens can be included in your diet or meal in the form of salads, smoothies, soups and teas. Dandelion coffee can be made too, using dried, roasted and ground roots. It serves as a natural beverage, minus the negative effects of conventional tea and coffee.